A few days ago I reviewed Savemonk which helped you avail cashback offers on your online transactions. Savemonk provided you with cashback offers at 200+ online stores. But, GrabOn is a bit different. 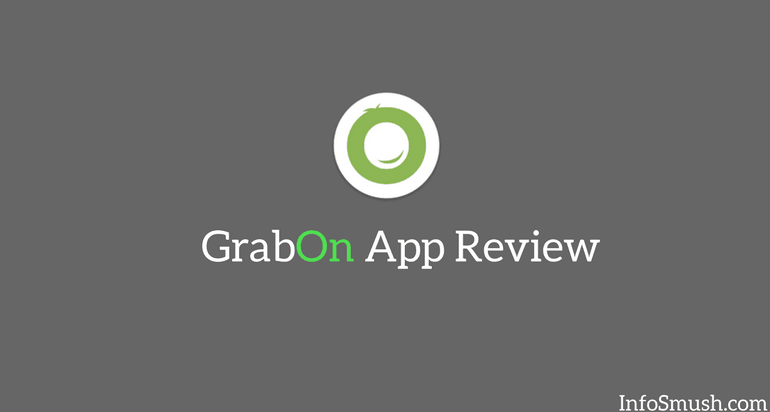 At GrabOn app, you can find coupons, discount offers & deals related to online wallets, stores and even Banks. You can also book cabs with GrabOn. Later on in this review, I'll tell how you can find the deals you need. But the first thing that you'd wanna do is sign in. Although you can grab coupons and deals without having to sign in, but to see personalized offers it's necessary. 1. First, download and install GrabOn from here. 2. Open the app and tap on the 3 lines(≡) in the top left corner and tap sign-in. 3. You can log in with Facebook or Google. Or you can sign-up with your email ID. It's useless to display coupons and offers related to Food to a user looking for recharge offers. And it's time-consuming to scroll down through offers related to every possible category. GrabOn understands this and offers a number of ways to narrow down the list of coupons and offers. You can use this feature of GrabOn to find coupons and offers related to your need. 1. Tap on the + button in the bottom right corner. 3. choose one of these four categories: 1.Recharge, 2.Food, 3.Movies and 4.Bus Booking. 4. Now, depending on the category you choose, you'll need to select a sub-category or enter more details. For example, if you select Recharge. You'll be asked to select a sub-category from Mobile Recharge, Postpaid Bill Payment, DTH Recharge and Data Card Recharge. And if you select Mobile Recharge, the next thing you need to do is enter the bill(recharge) amount and select operator. Similarly, if you select Food, you'll be asked to select one of the listed food delivery services and order value. 5. Now, GrabOn will display offers based on your details. This allows you to view coupons and deals according to the selected category. You can also view offers related to a specific store like Jabong, Paytm, Flipkart and Amazon. View offers related to the selected the brand. Bank offers are those offers & coupon where you get extra cash back and discount when you pay with the selected bank.